Well, if those weren't YOUR style then maybe these two might fit the bill. My older Boho/Global Christmas tree was extremely popular on Pinterest for several years, so I just had to do another one. This type of tree always makes me think of my daughter, who is in her twenties and would love a tree like this out in her apartment in LA, so I just imagine myself shopping for her. While I was looking around, I found some of the cutest chinoiserie ornaments and thought that would be a good tree to explore as well. Okay, I shopped at Anthropologie here some, that's like cheating, right? I mean, of course there will be boho there. However, I found some cool vintage stuff on One Kings Lane and Chairish, so have at it. 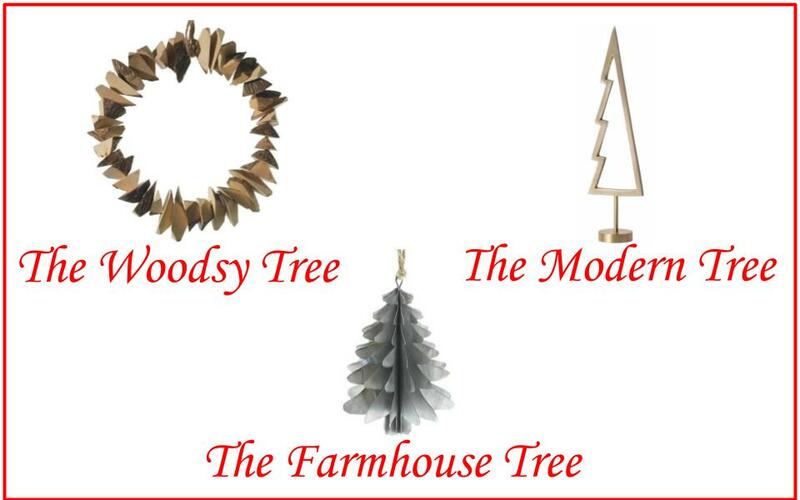 Go get your boho tree done! Just in case you aren't up on the term "chinoiserie" let me share this definition from Google. Chinoiserie is not my style, per se, but I do appreciate it, and who doesn't love a nice ginger jar? Anything blue and white is a win for me. I mixed in some gold too for some sparkle. Save this pin, below, to Pinterest, so you can refer back to it later! Missed my post last week and want to check out more of this year's trees?